In a world of bottom lines and performance chasing, Advance Capital Management takes a different approach. We are committed to improving the lives of our clients through prudent, personalized financial planning and investment management. Your needs and goals drive us, and we succeed only if you succeed. The fundamental principle of our approach is to not just work with clients but build relationships with them. Our dedicated financial advisers get to know everything – your specific needs and your dreams for yourself, your family and your legacy. 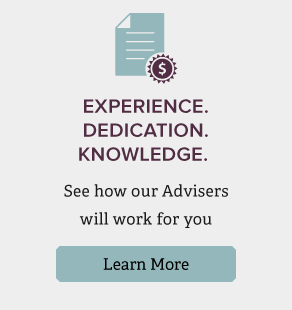 Ultimately, we help you create a customized financial plan to reach your goals throughout your financial life, from the workforce and through retirement. As a fiduciary, our obligation to you is to provide investment advice and recommendations that are always in your best interests. Doing what is right for our clients is a key element in our investment management strategies. Based on what we learn about your objectives, we’ll create a portfolio just for you with an appropriate mix of asset classes. Our experienced investment team is committed to not only striving to find opportunities for growth, but also to monitoring risk to help protect your assets during market swings. We select the best investments based on our unbiased, disciplined research process. We’re not satisfied with only giving advice. A primary focus of our approach is to educate clients so that they understand what strategies we recommend and, most importantly, why we are recommending them. We continuously provide educational resources and pertinent information during every step of your financial life so you feel confident in making better decisions to help you reach your financial goals. See our client-centric approach in action by Exploring Our Process.